It's not often that us mums have time to ourselves, if we're not washing dishes, feeding little mouths, running around tidying up we usually have a little one attached to our hips. Take some time for yourself each day, whether it be first thing in the morning, once the other half is home from work (and can look after the kids) or before you go to bed when you can have completely peace and quiet! Have a relaxing bath with your favourite bath bomb, grab a book to unwind with or just lay back and soak up the bubbles for an hour or so. 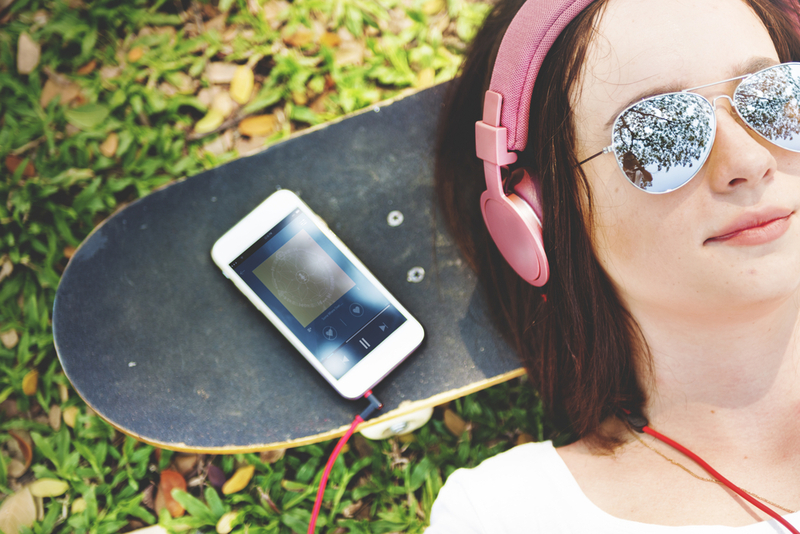 Many of us are aware that listening to our favourite music puts us in a good mood, and studies have now found that music is also good for reducing stress. The right kind of music can soothe us into a perfect state of relaxation. Why not create a nighttime/chill playlist to listen to when you need some time to unwind or before bed and catch more Zzzz's. I like to listen to music around the house using my Amazon Echo and have a few speakers in various rooms around the house which means I can listen to music downstairs whilst doing the dishes or when I climb into bed at night and put an unwinding playing on Spotify to fall asleep to. There's nothing better than getting home from a long day at work or once the kids are in bed and putting on your pyjamas and slippers and settling down for the evening on the sofa with a good film and some chocolate. Uppersole.com have a great range of slippers including fur lined ones which are perfect for these colder winter months. Walking as well as giving you time to think boosts endorphins which can reduce stress hormones and alleviate mild depression. Whether it's popping out for a walk with the pushchair or on your own if you are able to it will do you the world of good. As well as getting out of a stressful environment if you have lots to do at home walking and breathing in fresh air is a nature stress-relief. Never have time to yourself away from the kids, how about scheduling a girls night? This could be a pamper evening at home with a takeaway and a few drinks or it could be a night out on the town. What ever it may be, you deserve it! How do you like to unwind? I'd love to know. Hi people, It's quite unfortunate when you try to hire a hacker, you basically see email spammers. Normally a fake hacker asks for payment before services that he still unable to render at the end of the day. Right now i want to introduce you to an university graduate in computer science as well as computer geek for any form of hacking I needed to post this because i appreciate the good things done in my matrimonial home today. Right now we live happier then before. I contacted this hacker (Notablespy) who let me see all my wife's whatsapp messages, messenger and all living proves seeing all what see have been hiding. But later i get to know she was only been friendly with are clients because along with me investigations i had the chance to listen to her phone calls so i know whats right and every since we both know our wrongs and we live happily together. i will prefer to let their services speak for itself. contact Notablespy.org(AT)gmail(DOT)com and bee safe as well. He does all types of mobile hacks, get unrestricted and unnoticeable access to your Partner/Spouse, Skype, Facebook Account, Email(s), Whatsapp, Instagram, Text messages, In coming and Out going calls, Twitter, Viber, Snap Chats, Bank accounts, Deleted files etc. He can also help you boost your credit score limit, Change College/University grades and also clear all debts on your credit card(s).